I was recently asked to guest edit on GOOP (yeah I know super awesome right!) Check out the full post here! 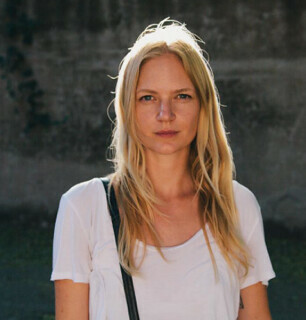 Lead here buy GOOP, this a a really amazing blog! always glad to find a new space to haunt. such lovely posts and your music taste is right up my alley! can't wait to see more! Also arrived here via GOOP. Thanks for the Sufjan Stevens info, we are loving him here in our studio... What a lovely blog you have, will be visiting again for sure. So happy I found you through Goop. Such a pretty site. Very different and interesting which is refreshing in a blog. What a great blog! I ended here thanks to the Goop page. Great post on the goop by the way. 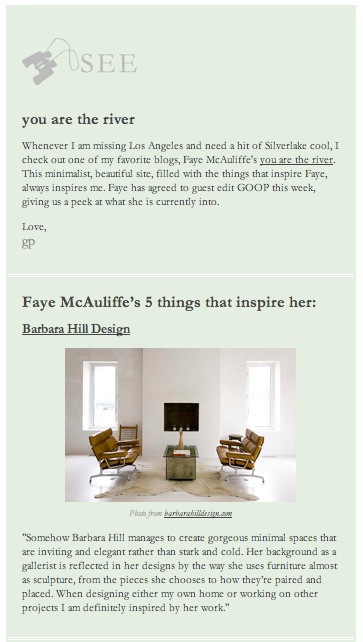 Thrilled to discover your blog via Goop. It's beautiful! That' how I found you. So glad I found you. so delighted to have found you through GOOP! your site is so inspiring and lovely. all of it. off to explore more! xo. Congrats! Saw you in Goop and hopped over here. in l.a. so happy to find you. Excellent news! Congrats! It was a great post...and yes, Sufjan Stevens always puts me in a good mood too!